2018-05-22 The Philippine SEC has issued a warning against Trading.Online. CLICK HERE to verify. Trader is a forex broker. 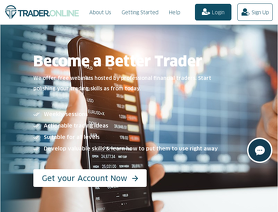 Trader offers the Web-based forex online trading platform. 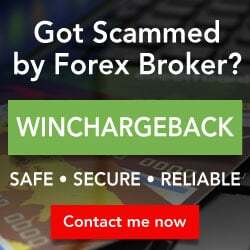 Trader.online offers over 20 forex currency pairs, indices, stocks, commodities, gold and silver for your personal investment and trading options. Beware of this broker, when they call you, dont EVER give your bank details right away. . They will make promises that are “too good to be true” Once they have charged your account, they will ask you to sign their Terms and Conditions, submit your identity docs. and even give you a bonus. Once you fell into their trap, you won’t be able to withdraw your money, they will invoke their Terms &Conditions which are contarary to their verbal assurances. They will max out your credit card limit!! !, this is their modus operandi, so dont be a victim especially Pinoys out there! I joined TRADER.ONLINE last April 2, 2018. After the initial deposit of 250USD, a man name Jay Weaser called me, he was my account manager. We funded my account using my credit card then he gives me bonuses without explaining the consequences. We deposited day by day, then after completing a total deposit of 25,000USD he offered an ALGO SOFTWARE for a better profit. I told him that I dont have money to add but he said dont worry we'll use the money of the bank(credit card) and lets see what can my side do for you. So I agreed and availed the ALGO SOFTWARE, signed the semi contract they sent. Day by day I checked my balance and true enough the software shows a huge amount of profit. After a month, he asked me to add more funds from my credit card for a better profit margin. I Refused, then he gets mad at me, he even called his senior manager who even get mad at me for refusing to add more money. I became emotional at that time and even cried a lot. After a lot of arguing and questions, I give in because in my mind I Must do what they said otherwise I will lost the money of the bank.also, I give in to them thinking that it will be a denied transactions because I thought the credit limit was fully used but alas I was wrong it was a successful transaction. A total of 79,899.00USD was transferred to TRADER ONLINE. I want to recover that money.! May 15,2018, i requested a partial withdrawal to fund my credit card but was denied by mr Jay Weaser verbally we did not reached the required TURNOVER. Then on june 2018, i again request for withdrawals but was denied again with same reason. Then on July,2018 I again requested for partial withdrawal. When they denied I told them that i will seek the interference of a third party and that's the time they talked to the higher management. They then suggested that I will terminate the ALGO SOFTWARE and they also approved and send me a partial withdrawal of 2000USD. As per T&C of termination, It requires a 90.days termination period. True enough,they sent me a settlement declaration. Reading it, it is for their own benefits, I added mine but they refused, nevertheless, i signed it and send it back to them. Then on November 3, 2018, I read Philippines SEC ADVISORY against TRADER.ONLINE so I sent an email requesting them to just refund the funds that was transferred to TRADER.ONLINE but they again denied.